If you experience a problem registering or logging on to an existing EPIC account, you can see the suggested solutions for the Help Topics listed below. Note: Before you can begin using EPIC you must be registered with myNewJersey and have EPIC access assigned by your employer's Certifying Officer. If you need basic instructions on registering for EPIC, please see the detailed EPIC Registration Instructions. If you need help using the Applications in EPIC, please see the EPIC Users' Guide. Certifying Officers who need help assigning EPIC access or Applications to employees should see the EPIC Security Guide. Certifying Officers and EPIC users who need help with the Internet Report of Contributions should see the IROC User's Guide. Detailed instructions for Certifying Officers who need help assigning EPIC access or EPIC Applications to employees should see the EPIC Security Guide. Detailed instructions for registering with myNewJersey and authorizing access to EPIC are provided in the detailed EPIC Registration Instructions. 1. You must retrieve the Authorization Code from the email you received when your employer registered you for EPIC access. 2. Log in to your myNewJersey account using the “Login ID” and “Password” you created. 3. Click on the link along the top of the page for “auth code”. 4. In the window that opens, enter your Authorization Code exactly as it appears in the email (you may wish to highlight copy, and paste from the email). Click the “Finished” button when done. Note: The Authorization Code can be used only one time — do not reuse or re-enter your Authorization Code as it will lock all access to your EPIC account. Delete the email with the Authorization Code after you successfully enter it in myNewJersey. 5. The system will log you out. 6. Log back in to myNewJersey and you should see the “Pension and Benefits” channel along the left-hand side of the page. 7. Click the “MBOS and EPIC” button to go to your EPIC home page. If you continue to have difficulty, please contact the Division's Employer Education Unit at (609) 292-7524. The Certifying Officer at your employing location must give you access to the EPIC Applications. Once access is provided, you will be able to see the application button when you log on to your EPIC home page. Instructions for adding additional users in EPIC can be found in the EPIC Security Guide. If you continue to have difficulty, contact the Division's Employer Education Unit at (609) 292-7524. 1. See the Certifying Officer at your employing location to confirm that you have been assigned access to the specific EPIC Application. If not, see the instructions above on having your Certifying Officer assign EPIC Application Access. 3. Due to the number of applications available through EPIC, you may find that the application button is listed on a second page with other applications. Click the “More Applications” button if it is shown on your EPIC home page. If you continue to have difficulty accessing EPIC Applications, please contact the Division's Employer Education Unit at (609) 292-7524. 1. Try using what you think your password might be. myNewJersey will not lock you out for guessing incorrectly. However, after three wrong guess myNewJersey will time you out for 10 to 15 minutes while the system resets. When the myNewJersey site opens, go immediately to “my account” at the top of the page and change to a password you can easily remember. Click “Update” when you are done. Passwords must be at least 8 characters long, chosen from at least three of these groups: lowercase letters, uppercase letters, digits, and other characters (except space, quotes, <, >, & and \). Note: Forgotten Login IDs and Passwords are the most common problem members have when using MBOS. Be sure that you can remember your Login ID and Password for future use. 3. If you cannot answer the "challenge question" or do not receive the new password due to a different email address, return to the myNewJersey "Login Page" and click on "Need Help?" Use the page that opens to contact myNewJersey for assistance. Fill in the subject line as “forgot password/new email address". Be sure to include your name and your Login ID in the message, and include the reason you cannot receive a new password. Please be as specific as possible in your message. myNewJersey will verify the information they have on file for you and will reply to your email address. If you cannot remember your myNewJersey Login ID try using what you think your Login ID might be. myNewJersey will not lock you out for guessing incorrectly. However, after three wrong guesses, myNewJersey will time you out for 10 to 15 minutes while the system resets. If you cannot get in, you must retrieve your Login ID from myNewJersey. If you answer the question correctly, myNewJersey will verify the information they have on file and send Login ID information to your email address. 2. If you cannot answer the "challenge question" or if you have multiple, valid Login IDs that use the same email address but are associated with different systems (such as one Login for EPIC and another Login for MBOS) the “Forgot your Logon ID?” feature will not be able to send your Login ID. In these cases, you must contact the myNewJersey Help Desk directly to obtain your Login ID. Use the form page that opens to contact myNewJersey for assistance. Please be as specific as possible in your message (for example - forgot Logon ID). 1. If you are certain that you have registered for myNewJersey and that your employer has assigned you EPIC access, see the help information for “Password” and “Login ID” problems listed above. 2. If you have not been assigned EPIC access, the Certifying Officer at your employing location has the ability to add new users and grant application access on EPIC. Contact your Certifying Officer to resolve your access problem. 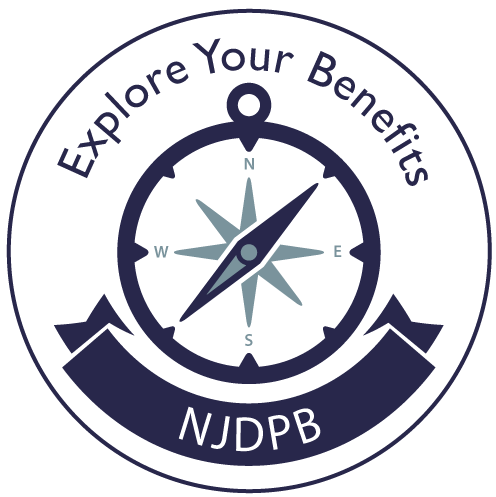 If you continue to have difficulty, contact the NJDPB's Employer Education Unit at (609) 292-7524. An email address change for EPIC users is made on myNewJersey by the user and on EPIC by the Certifying Officer. Note: If you are also registered with a personal MBOS account, you must update your email address in MBOS in addition to myNewJersey. 1. Log on to your myNewJersey account. Along the top “Welcome” line, select “my account”. The Client Profile page will open. Update your email address in the box provided. 2. Click the “Update” button to return to the myNewJersey home page. 3. Next, you must notify your Certifying Officer of the change in your email address. The Certifying Officer must modify your email address in EPIC through the EPIC Security System. Instructions for modifying user information in EPIC can be found in the EPIC Security Guide.